← See’s Candies, I heart you! 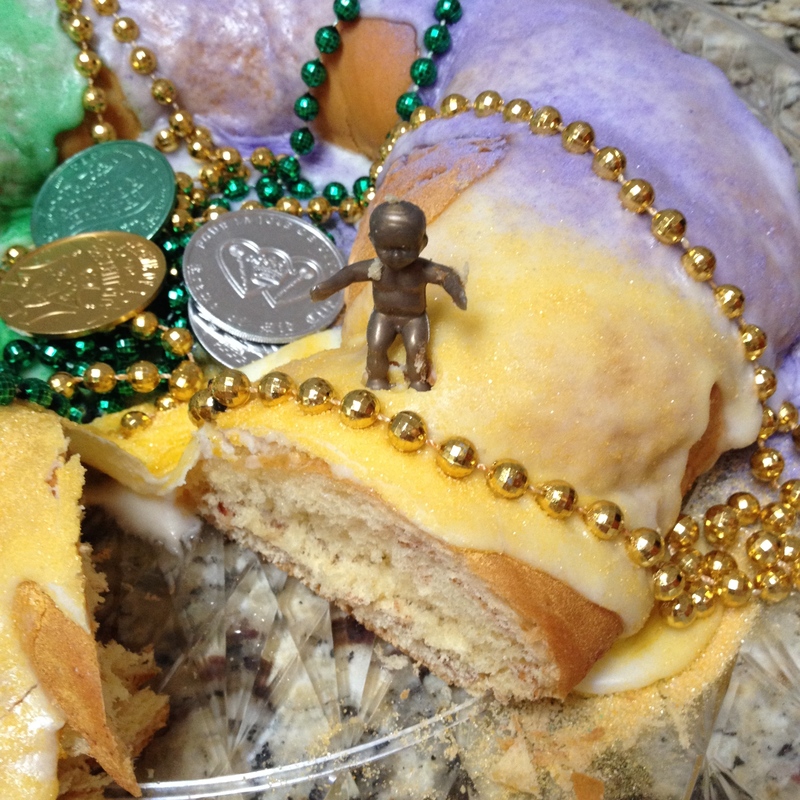 Mardi Gras was 2 weeks ago, I know, but I love a good King Cake anytime. And I love anything that reminds my of New Orleans. This morning instead of having my protein shake, I cut into the King Cake that I won at a silent auction and look what I found! I could do without the beads on the cake, but that’s a minor complaint. The history and name of King Cake goes back to Epiphany and the 3 Kings. 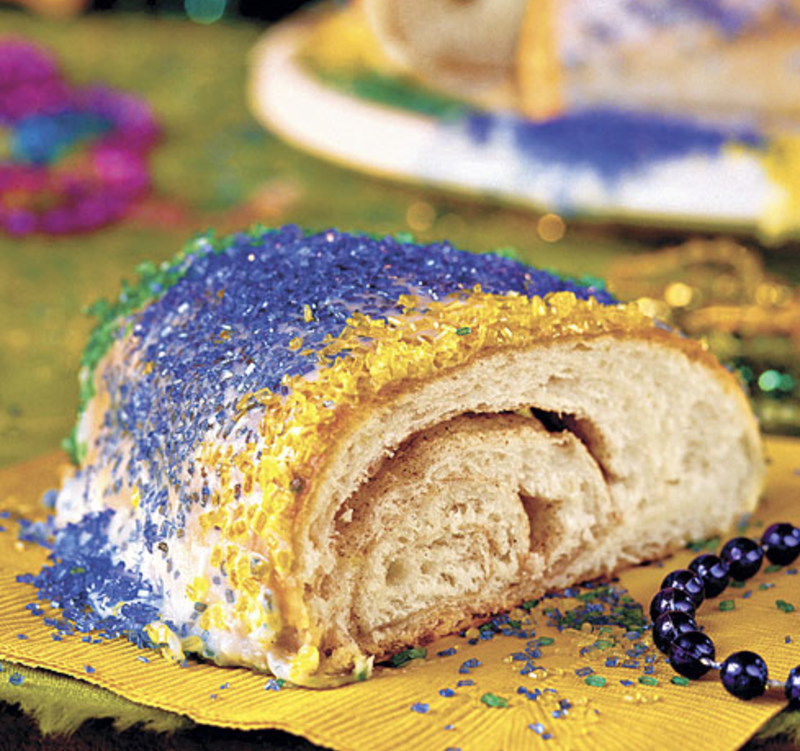 It is made with a brioche type dough and covered in a white glaze with mardi gras colored sprinkles. My cake had a bit of cream cheese filling and some are more butter and cinnamon filled. For more history here’s a link to Wilipedia’s post. It’s a tradition that should move into Christmas, instead of fruitcake. If you’d like to bake one yourself, you can’t go wrong with Southern Living’s recipe. 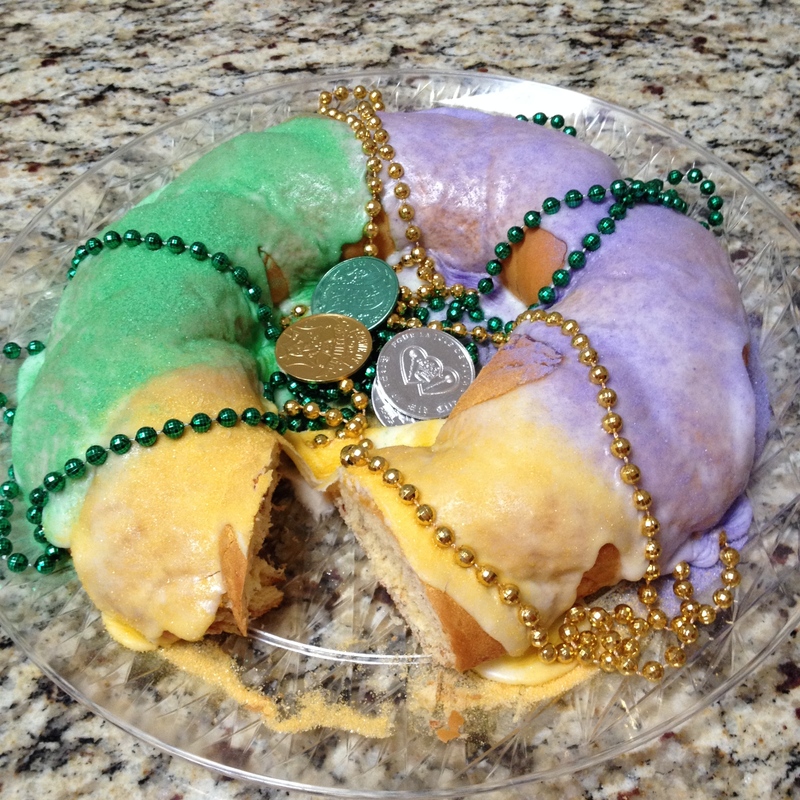 Do you have a favorite King Cake recipe or place to buy one? Let me know. Posted in baking, breakfast, Christmas, internet treats, references, recipes, sweet makers and tagged King Cake, King Cake recipe, Mardi Gras. Bookmark the permalink.